Jeff is back after sitting out a year with a special new project. 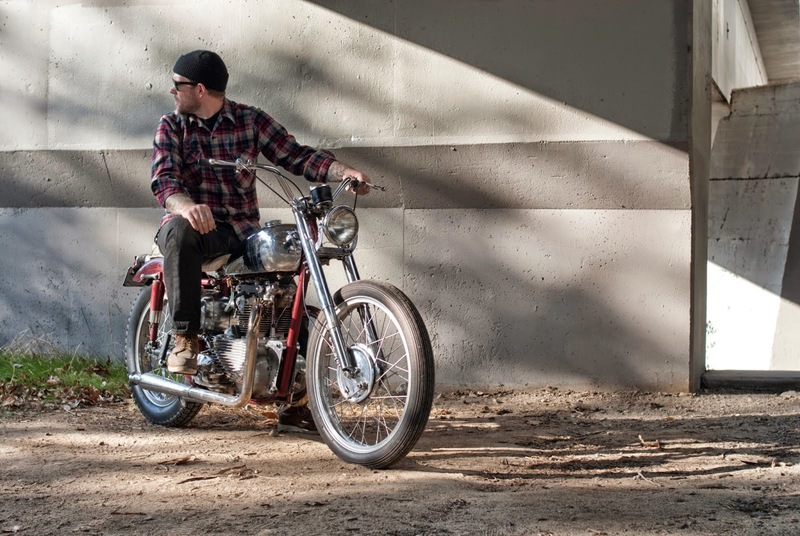 Here is the story….This year for Born Free I’m stepping a little outside my comfort zone and building a 1950 Triumph show bike. The bike will be very much in the vein of bikes that I like, but on a totally different platform. 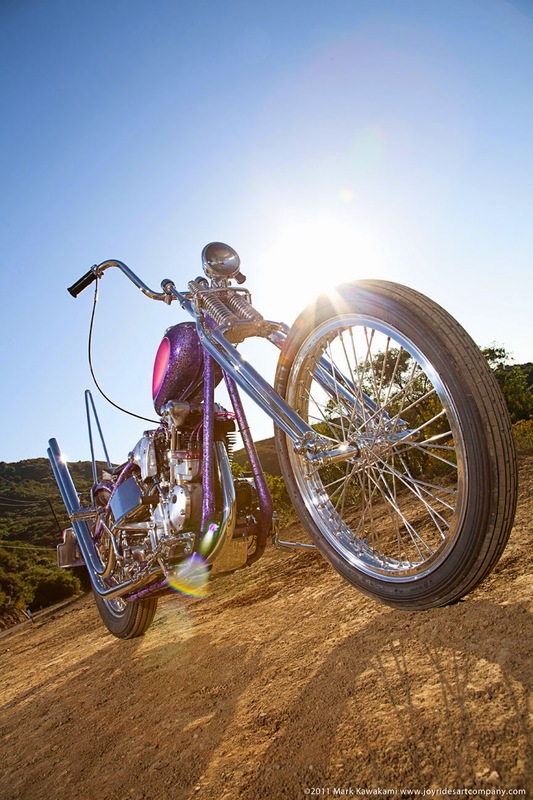 My inspiration for the bike are the early 1960’s bikes from the LA and Oakland Hot Rod shows. I’m using a matching number 1950 thunderbird motor and frame. The frame will have all the extra stock stuff cut off of it. With a tank and fender molded to it. The motor is decked out top to bottom with period hop up and accessory parts, including an original Award Cycle finned timing cover. Haven’t picked a front end yet. But I have a few options in my mind. The wheels are 19″ wm2 with a triumph rear hub out back and a 21″ wm0 radial laced to a hallcraft hub up front with an NOS Avon 2.75 tire. Every part of the bike will be chromed polished and painted. I’m sure I will look ridiculous riding it… but I can’t wait to see it all finished. We can’t either. Take a look at some of the bikes Jeff has built in the past. 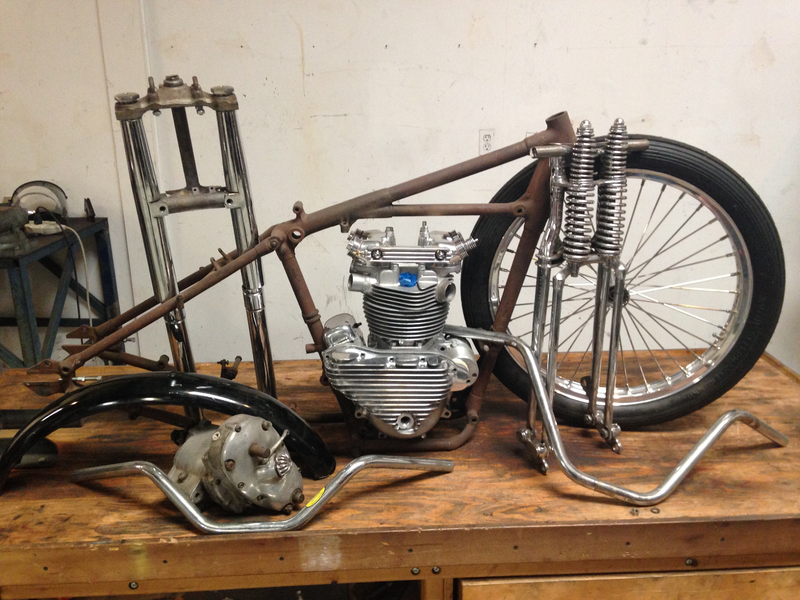 This entry was posted in BF7 INVITED BUILDER, Born free, jeff Leighton, PRE UNIT, STREET CHOPPER BUILDER INVITE, triumph, Uncategorized, wretched hive. Bookmark the permalink.